This is just a short post to share a quick link and a quick story. And also to share that picture above. My head is the third one from left (I know it’s hard to recognize me when I had hair). 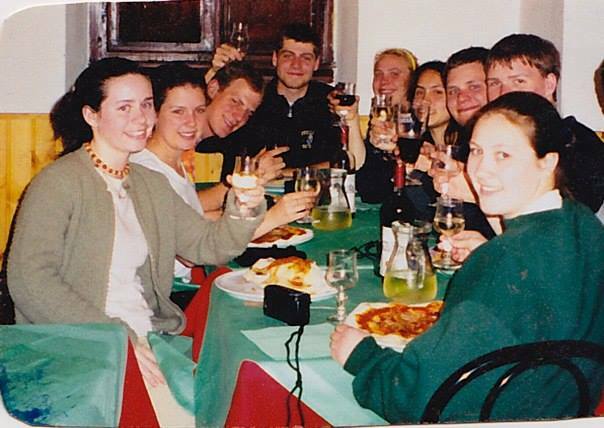 The picture was taken in Florence, Italy, when I went on a European tour with other exchange students living in Germany. It was a great time, and the only negative part was that there were no digital cameras back then! Anyhow, here’s what I wanted to say: When I was 18, I graduated from high school and went to Germany for a year as an exchange student. It’s no exaggeration to say that it was possibly the most significant event in my life, as it put me in the direction that led me to where I am today. It was also one of the best experiences I’ve ever had in my life. I formed some of the best friendships I’ve ever had, and I also learned a new language along the way. Because of that, I just wanted to encourage my readers to check out exchange programs. Especially if you want to learn a new language and to learn more about new cultures, being an exchange student is one of the most rewarding experiences you can have. I went with Rotary International (here’s the link to get more information about their programs), but there are certainly others. Also, if you’re Costa Rican, I know that the Foreign Ministry often lists free scholarships for Costa Ricans to travel abroad and study–many are free, and some even pay you to go! But sadly, many of them are apparently never used. Go here to see the Ministry’s page of current scholarships (becas), but check back often since the information changes frequently. But just for an example, here are three current ones for programs in Austria, Germany, and Puerto Rico. But right now there are at least 50 more! So, get out there and explore the world! You’ll be glad you did!